While many cold medications can alleviate the discomfort of certain cold symptoms, only our own body can combat infection and fight this unwelcome virus. Knowing what you can do and following a few helpful guidelines may help you stimulate your immune system the next time you are under the weather. Scientific research has shown that it is possible to nip an attack in the bud, but even if it’s too late for that, you can still win the battle in about half the time and reduce those unpleasant lingering symptoms. 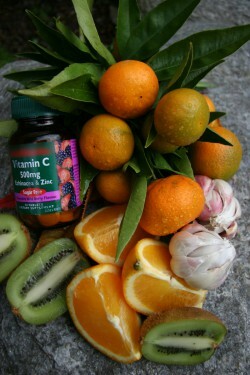 I have received positive response from many people who have taken my cold-fighting recommendations to heart. Some are world-class athletes who train intensively for long periods of time in extreme conditions and keep their immune systems under constant stress. The cold-fighting program I’ve developed over the years is intended for adults only and involves a two-pronged approach: 1) the use of natural products and supplements when the first symptoms are felt, and 2) a healthy year-round lifestyle that combines exercise, nutrition, and stress management. Zinc lozenges—Take 15-20 mg of either zinc gluconate or zinc acetate six times per day. Best is to let them slowly dissolve on your tongue, the slower the better. They will not be helpful if you just swallow them. Echinacea—Take the recommended dosage six times per day. Ask a herbalist in the store for the highest quality, most potent products (the most potent part of this plants are its roots), let him or her choose one for you and make sure it’s fresh, check the expiration date. Multivitamin-multimineral supplements—We suggest products with recommended doses of four to nine tablets/capsules per day, divided in two or three doses. Vitamin C with bioflavonoids—If you do not take a multivitamin that contains vitamin C, you may want to consider taking 200-500 mg two to three times per day. Raw garlic—Eat one mashed clove with every meal. Some people I have worked with like to put the garlic on a tablespoon and then cover it with mashed potato, carrot, or banana before swallowing. Take the initial dose of each of the above products for the first two days of your symptoms. On the third day, cut the dosage for zinc and echinacea in half and take them only three times per day instead of six. Do not take more than 100 mg of zinc per day for more than a few days to avoid the side effect of suppressing your immune system. Continue the reduced regimen for another 10 to 12 days, and repeat during the year when necessary. This program is successful because it has the ability to fight viruses directly (with raw garlic), and it stimulates the body’s own immune system. Echinacea may lower the chances of catching a common cold and can be particularly helpful in treating one(1). Its benefits may include anti-inflammatory, anti-viral, and immune system stimulating effects. The herb astragalus (astragalus membranaceous) has a similar effect and can be taken along with echinacea to help fight your cold or even as a daily supplement for several weeks to boost your immune system throughout the year. Please read the IMPORTANT NOTE below. Garlic(2) also bolsters the body’s defenses against bacteria and viruses and helps in the recovery process. It may lower LDL, the so-called “bad cholesterol,” and also total cholesterol levels while increasing the “good cholesterol,” HDL. Garlic is also a natural blood thinner, which decreases platelet aggregation and reduces the occurrences of blood clots. All in all, I think garlic offers useful side effects for most people, although the same cannot be said of its aroma! IMPORTANT NOTE: Since the active compounds in some foods (such as garlic) and herbal supplements (such as echinacea and astragalus) may interact with prescription medications or affect those who are pregnant or have certain health conditions(3,4), please consult your doctor or pharmacist before consuming them or ANY other over-the-counter dietary supplements. Wash your hands often(5) and keep them away from your face. The “bugs” are everywhere and are mostly transmitted by hand to your eyes, nose, and mouth. Drink lots of fluids—but limit caffeinated and alcoholic drinks to a minimum! The best choices are water, herbal teas, vegetable bouillon, and freshly squeezed vegetable and diluted fruit juices. If you’re not hungry, eat very little the first day you feel symptoms and avoid foods that are difficult to digest. Amazingly, the body’s coping mechanism diminishes appetite naturally, thus allowing the body to focus its energies on fighting off the invaders rather than on the digestion process. Avoid sugar—especially when refined—because of its many unhealthy properties. If you need to sweeten your food or beverages, I recommend using small amounts of natural sweeteners like raw honey, maple syrup, agave syrup, or raw, unprocessed sugar products like dried cane juice. Drink freshly squeezed lemon juice with cold or warm (not hot) water if you are thirsty. Since heat destroys vitamins (especially vitamin C), drinking hot lemon juice with honey in hot water does not help, despite its reputation. Eat chicken soup with plenty of vegetables and some rice or pasta. We love this traditional home remedy. It can relieve congestion temporarily and act as an anti-inflammatory, so it’s great for you, even when you’re healthy! Ask your doctor for an inhaler or pick one up at your local drug store (*see below for an alternative to an inhaler). Use non-medicated saline spray or drops. It’s a good idea to take steps towards strengthening your immune system throughout the year to improve your general health and increase your resistance to colds. You don’t want to wait until “handkerchief season,” when colleagues are starting to cough and sputter, entire daycare centers are infected, or the evening news is suggesting that you get a flu shot! In these types of situations, those who are under a lot of physical or mental stress or otherwise have a weak immune system, whether it’s because of illness, age, or poor nutrition, are naturally going to be at higher risk. Also, your chance of infection goes up even more if you have to spend long periods of time with other people in confined spaces, such as in schools, on public transportation, or in conference and meeting rooms. To help prevent colds, I recommend taking probiotic supplements. These microorganisms, also known as healthy or friendly bacteria, are similar to those that facilitate digestion that are found in our intestines. Some of the many different strains available include Lactobacilli and Bifidobacteria. Good food sources for probiotics include certain brands of yoghurt, kefir, and raw, natural sauerkraut. A lesser-known fact about probiotics is that they also interact with the immune system. That is the reason why people with a “healthy gut” are more resistant to infections. Therefore, by taking probiotic supplements, you might not only improve your digestion and symptoms of certain intestinal tract conditions, you may also fight off a cold. You’ll want to choose a supplement that offers a few billion “colony forming units” in a formulation that can survive in the acidic environment of the stomach. Echinacea in the dose recommended on the label. Astragalus extract in the dose recommended on the label. Zinc lozenges: take three times a day 15-20 mg of either zinc gluconate or zinc acetate that can be dissolved in the mouth. After two weeks, you can take a break for two to four weeks, and then continue with the simplified 2-week version of the program again; see the three points above. Astragalus can be taken over a few weeks, but please consult your doctor before adding astragalus to your regimen in prevention of a cold. Wash your hands often(5) and keep them away from your face. The “bugs” are everywhere and are mostly transmitted by hand. Avoid using a fabric handkerchief and never put a used one back into your pocket since it is a breeding ground for contagious germs! Protect your nose with a tissue if you are in a crowd or cannot avoid sitting near someone who is sneezing or coughing. You may even want to offer a tissue to others if they need one! And while you’re at it, if you happen to have any eucalyptus candies on hand, you’ll make someone with a cold very happy if you offer to share those, too! Experiment to determine for yourself the most effective dose of vitamin C and echinacea since some studies are controversial, or consult with a health care provider. From my own experience, being physically active and taking supplements such as probiotics and astragalus has kept many healthy bodies in motion! I hope these guidelines will help you not only improve your chances of avoiding colds over the years, but also prevent the onset of chronic illnesses. Even better, in addition to doing a great deal for your own health in general, some of these suggestions may also help you prevent the spread of infections to others. May you live long and well! This Information above is not intended as a substitute for a consultation with a licensed medical professional. Talk to your doctor or pharmacist before taking any prescription or over the counter drugs, including any herbal medicines or supplements. For more information, please see our disclaimer statement. *Caution: With extreme caution, this is an alternative to buying an inhaler: Simply fill a large pot 1/3 full with water, let it boil, and after that take the pot of the stove and now add salt or chamomile flowers. Let the water cool off a little, and then, cover your head with a towel and hold your face over the steam and breathe deeply. Be careful not to burn your face! Hold your face at a comfortable distance away from the hot water! If your face starts stinging from the steam, remove your head and the towel immediately and let the mixture cool down more! From time to time, stir the mixture a little to encourage the release of more steam. (1) Shah SA, Sander S, White CM, Rinaldi M, Coleman CI: Evaluation of echinacea for the prevention and treatment of the common cold: a meta-analysis. The Lancet Infectious Diseases 2007;7(7):473-80. (2) University of Maryland: Medical Center: Medical Reference: Complementary Medicine: Garlic. www.umm.edu/altmed/articles/garlic-000245.htm, accessed January 2011. (3) National Institutes of Health: National Center for Complementary and Alternative Medicine: Echinacea: Side Effects and Cautions. 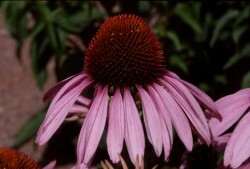 http://nccam.nih.gov/health/echinacea/ataglance.htm#cautions, July 2010. (4) National Institutes of Health: National Center for Complementary and Alternative Medicine: Astragalus: Side Effects and Cautions. http://nccam.nih.gov/health/astragalus/#cautions, July 2010. (5) Centers for Disease Control and Prevention: Wash Your Hands. www.cdc.gov/Features/HandWashing/, December 2010.